Today we are featuring each of the Woman Who…Achieves StartUp Finalists. Featuring Mel Wakeman of Wakeman Nutrition Finalist in the Woman Who…StartUp Category, sponsored by Windows Plus. 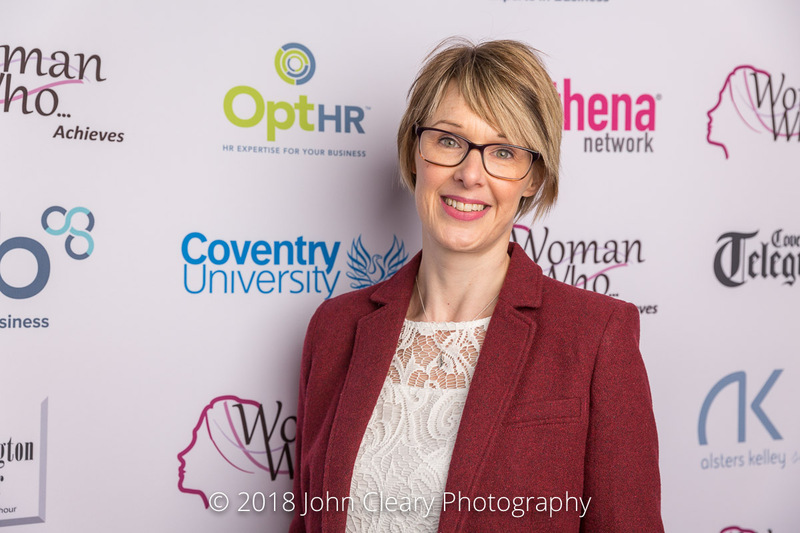 Be inspired and celebrate with our Finalists at the Woman Who…Achieves Awards Lunch which takes place on Friday 27th April at Coombe Abbey Hotel. Take a look at last year’s gallery. Mel is an independent and well respected expert coach, speaking on National and Global Radio. Wakeman Nutrition established in 2017 by Mel Wakeman RNutr. provides a professional advice and consultancy service. She helps women who are ​tired of living in the land of forbidden foods and the latest greatest fad get off the diet train for good so they can stop stressing about what to eat and not eat. Using non-diet and health at every size approaches, she doesn’t dictate. Instead she helps you make peace with food, dial back into your body’s cues, learn to nourish your body and regain control over your health for good. Windows Plus are a local family run business who have been manufacturing and installing for over 14 years. The ethos of the business is unique in its belief that the process of having new windows, doors or build work should not be stressful, the customer should be able to design their own bespoke project with the expert advice provided from all Windows Plus’ dedicated employees. The employees within Windows Plus is what makes it what it is today, a thriving business with an excellent reputation, employing over 50 people, of which a fifth are female, which is very rare in their business sector.